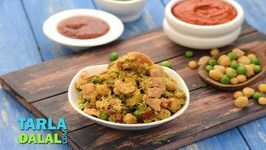 Here is something that tastes just as good as bhel puri but with an even more exciting combination of ingredients, which includes sprouts, boiled legumes and green peas, ..
Rebecca Brand shows how to make fresh brussel sprouts quick with olive oil, butter, and salt, 1 minute prep time for a naturally sweet roasted result. 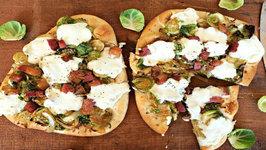 A few minutes is all it takes to toss together this amazing snack if you have all the ingredients ready. 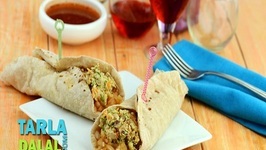 Want something Spicy and Hot today? Presenting this mouthwatering 'Misal' in a 'Bread Bowl'. Watch and relish every bite of it. 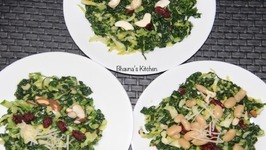 A delicious, healthy kale and brussels sprout salad with sweet cranberries, toasted nuts, creamy buttery beans and cheese! 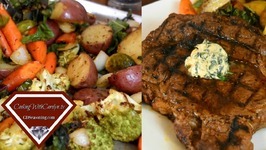 Want to prepare a restaurant quality ribeye steak at home. Then, look no further. 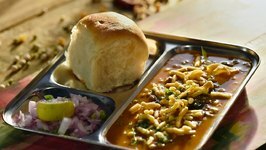 Let's March ahead in 2017 with one of the 'pav'pular...oops popular breakfast choices of the Mumbaikars...Misal Pav! 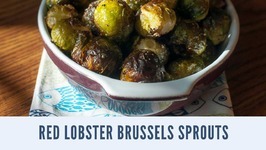 You can recreate the Red Lobster Freshly Roasted Brussels Sprouts with this easy copycat recipe. 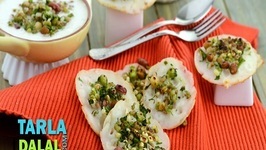 Idlis are a breakfast favourite even outside South India. 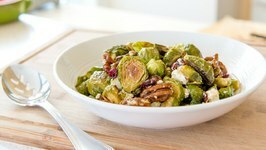 Fibre rich oats and rava combine to make delicious instant idlis that you can enjoy fresh off the steamer with ..
Roasted Brussel Sprouts tossed with a balsamic vinaigrette, goat cheese, candied pecans, and dried cranberries! 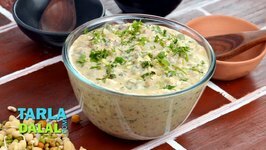 It's a really delicious vegetable side or salad to make, .. 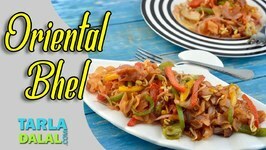 This recipe offers you a bowlful of good health and even better taste! 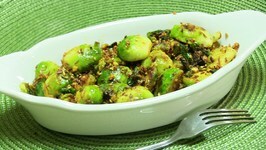 Mixed sprouts and curds are combined with crunchy and tasty veggies like capsicum and onions, and .. 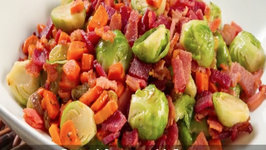 Serve as a side or mix with boiled Pasta or Dried Beans such as Kidney Beans. 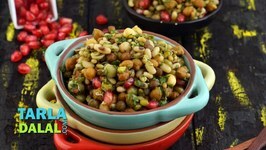 Sprouting is a wonderful way to enhance the nutritional benefits of beans like moong, and it also adds to the flavour with a mild sweetness and pleasurable crunch. 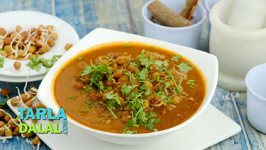 Like Sambhar is to Tamil Nadu, Amti is to Maharashtra. 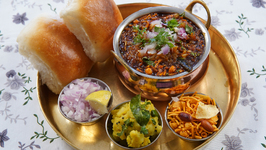 Amti is a flavourful dal preparation that is frequently prepared in Maharashtrian households. 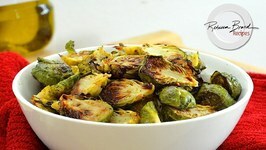 What should you do with fresh brussels sprouts? 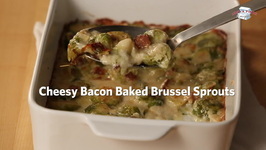 Chef Cari shows us that simply pairing brussels sprouts with bacon makes an especially deliscious side dish. 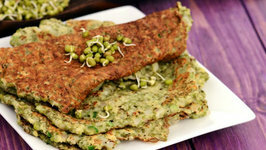 This easy-to-make pancake is a sumptuous snack you can have anytime, as it is made with an instant batter of rice flour that requires no fermentation. 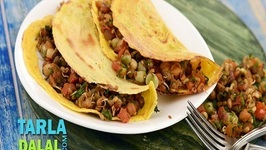 Stuffed Chila,this healthy snack not only improves the health of your skin, but your overall immunity too. 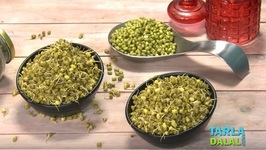 Moong is a blessing from Mother Nature, and this powerhouse of nutrients only gets more potent when sprouted! 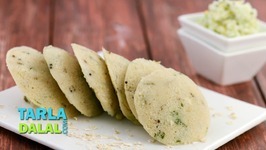 Here, we have prepared a traditional snack of Andhra ..